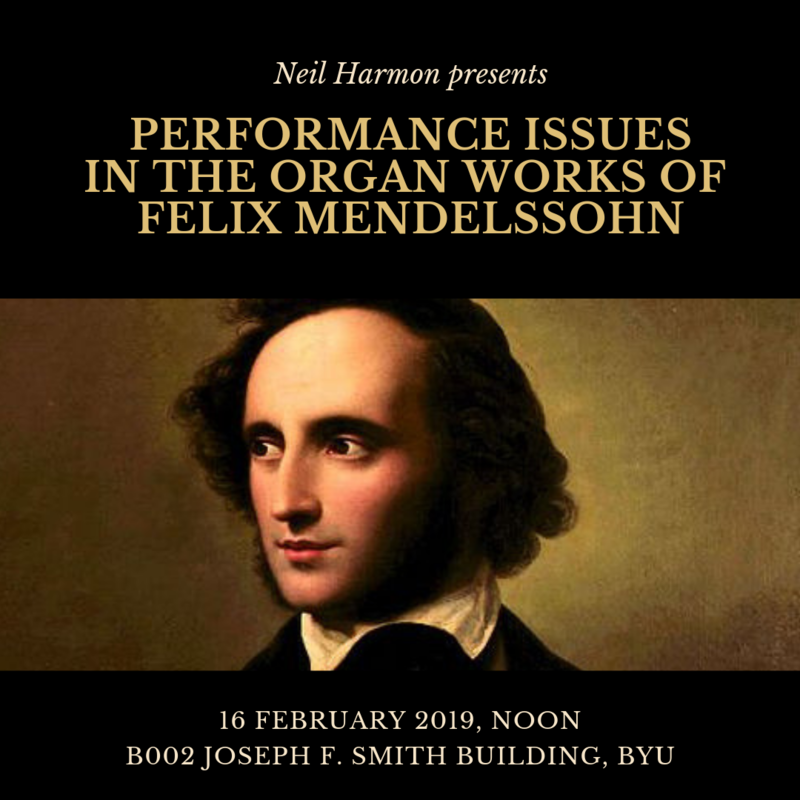 Neil will be discussing performance issues in the organ works of Mendelssohn; he will not be playing the organ during the workshop. The presentation will be in a classroom in the basement of the Joseph F. Smith Building (JFSB) at BYU. The JFSB is the big square building west of the library with an inner courtyard, curved glass facade on one side and children’s play area on the other side. The classroom B002 is on the west hallway opposite the spiral staircase. Please contact us at: gro.o1556214274gavu@1556214274ofni1556214274. We will be happy to assist you.